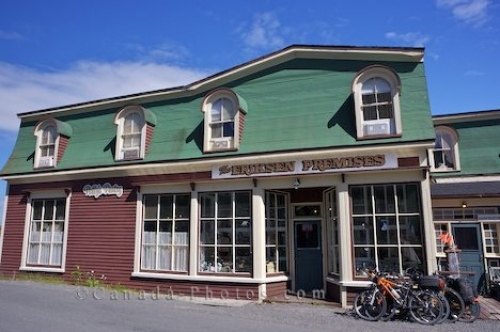 While visiting the town of Trinity in the Bonavista Peninsula in Newfoundland, Canada, accommodations at the Eriksen Premises are highly recommended. Here you have comfortable rooms at a reasonable price with staff who are very friendly and courteous. The interior is nicely decorated and one feels as if they are staying at a traditional Newfoundland home. The location of these accommodations is central so it is easy to walk around to see the town of Trinity. The Eriksen Premises in the town of Trinity, Bonavista Peninsula, Trinity Bay, Highway 239, Discovery Trail, Newfoundland, Newfoundland Labrador, Canada. Picture of accommodations, the Eriksen Premises, in the town of Trinity in the Bonavista Peninsula in Newfoundland, Canada.